It's no secret that the global community of yogis is very diverse. But if there's one thing that we've noticed is very common among a LOT of yogis (aside from their love for yoga, of course), it is their love for comfortable and stylish yoga clothes -- most especially if they are getting it for free! 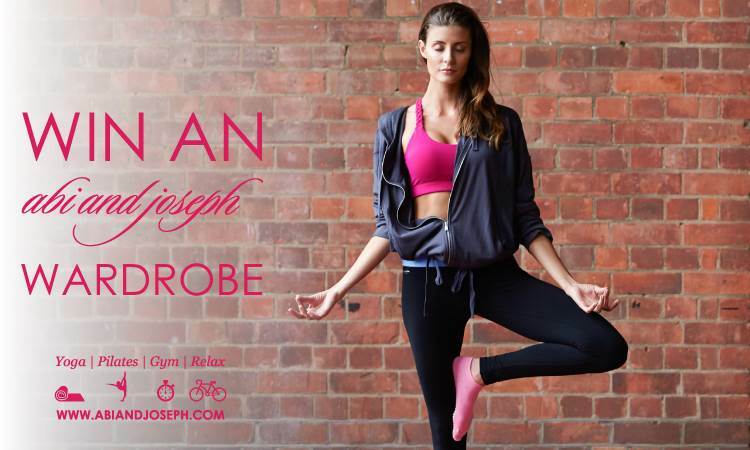 This is why this week, we're giving 1 DYY reader the chance to shop for FREE at Aussie activewear brand, abi and joseph. The lucky winner will get a shopping voucher worth AUD$180 or US $175 so they can get their choice of yoga pants, leggings, tights, crops and tanks, and tons more. abi and joseph design multi-functional activewear that is both stylish and comfortable, using natural and high-quality technical performance fabrics. They are known for their perfectly cut yoga and Pilates pants, tights, ballet wraps, camis, and a wide range of crops and tanks. Their lifestyle pieces and multi-functional clothing range covers everyone from the yoga and pilates devotee to the daily runner and gym enthusiast, as well as lifestyle pieces that are comfortable for every day wear, travel and relaxation. This giveaway contest is over and the lucky winner is Caren W. from US!